Consider where and when on your property the sun shines and whether you receive any areas of natural shade. Then, think about when you’re most likely to be enjoying your home addition. If you’ll be using it mostly in the mornings or evenings, then you don’t need to worry about ensuring its in direct sunlight for the majority of the day, just that it’s positioned for you to enjoy the sunrise and sunset. If one side of your house gets some shade, placing the home addition there could provide a cooler room and some relief during hotter days. However you plan to use your sunroom, vertical 4-track room, or screen room, identifying the sunny and shady areas of your home throughout the day can help you plan the best placement for your home addition. Also, think about the view you want to have while enjoying your home addition. This will give you a good idea of what you want to see and what you don’t. You can screen out what you don’t want to see and capture the view you do want to see. While considering placement, you’ll also be able to identify trees or outbuildings you want to keep and things you may have to remove or work around. 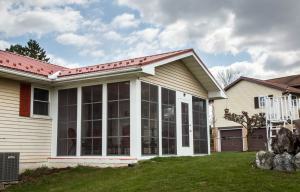 Most home additions are built onto the home as a new addition or a deck or patio enclosure. They usually extend outward from one of the sides of your home. However, for some homeowners, they are limited by building out on the main level and may decide to build up instead. 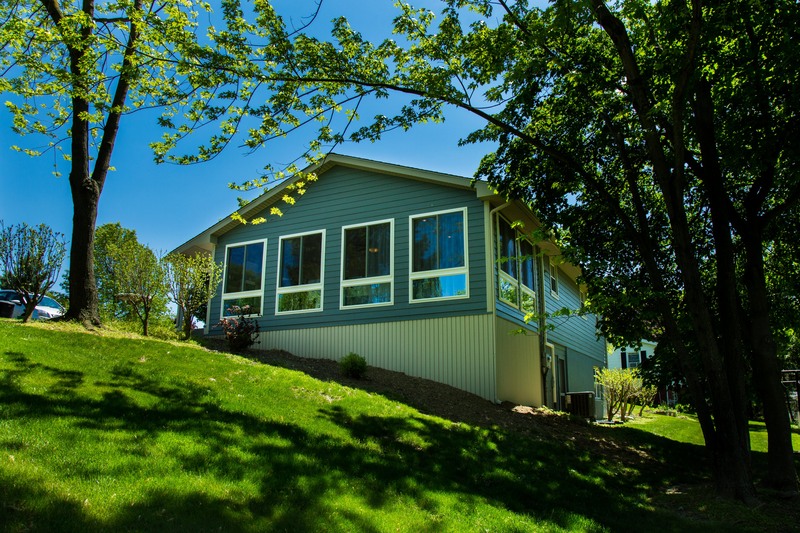 A raised deck can be enclosed for a home addition that sits above ground level. Additions can also be built to extend the second floor, like adding a room above a garage. Local restrictions and building codes can sometimes throw wrenches into your plans. Sometimes there are restrictions on how close a structure can be to property lines. Sometimes there are height or design restrictions. Depending on where you live, there may even be regulations regarding historic preservation. It can be a nightmare for a homeowner to wade through these alone and they can seriously affect your home addition placement. Thankfully, the process is much easier with an experienced local home improvement contractor. The right partner will handle these potential headaches for you, so you can stay excited about your new home addition. If you are considering a home addition or have questions, call Zephyr Thomas at 717-399-4708 or stop by to see our showroom!